Anyone serious about hunting grouse and woodcock in the upper Midwest must, of course, consider Michigan. 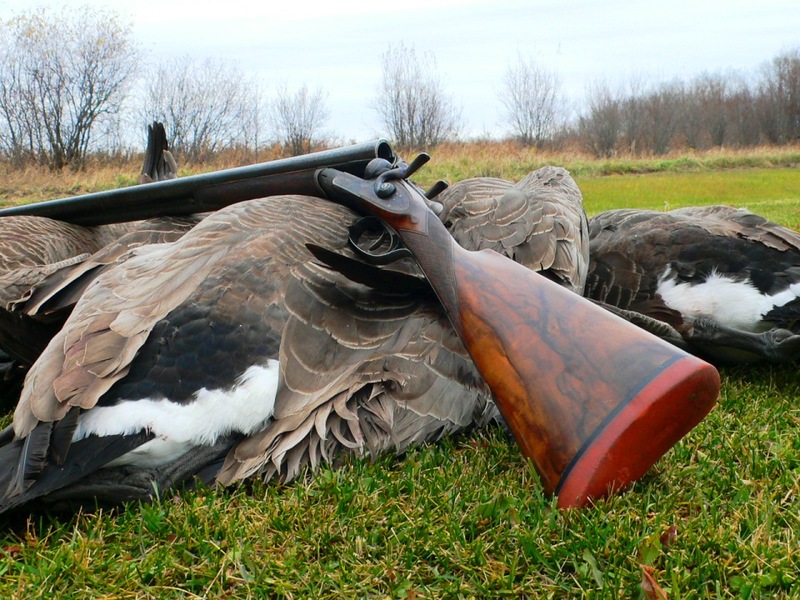 With more public land than any other state east of the Mississippi, the Great Lakes State typically leads the country in annual woodcock harvest, and grouse hunting is as good there as anywhere in North America. So why is it so hard to find a good upland guide in Michigan? When I get this question, I typically refer people to chambers of commerce or any of the storied trout-fishing lodges on the chance that they might know someone with grouse dogs and hunting experience for hire. Now I can recommend Wild Wing North Outfitters, a new venture by Tracey Lieske, who for several years ran the popular Wild Wing Lodge, in southwest Kentucky, and who recently turned his attention full time to the more northerly latitudes. Freed from the “bonds” of a permanent lodge, Lieske has become a nomad who takes clients wherever the birds are. Lieske’s innovative program makes sense for a professional guide and dog trainer, which is how he first made his mark. For 25 years Lieske trained dogs and guided members and corporate types at Hunters Creek Club, in Metamora, Michigan, under the supervision of late owner Preston Mann Sr. and head trainer Dale Jarvis. When the economy began to turn in 2005-’06, Lieske decided to broaden his horizons. During the next few years he worked at the Flying B Ranch, in Idaho; Greystone Castle, in Texas; Paul Nelson Farm, in South Dakota; Deer Creek Lodge, in Kentucky; and Quail Creek, in Florida. In 2011 he took over the upland-bird program at Wild Wing. Dog trainer and guide Tracey Lieske has used the Northern grouse woods as summer training grounds for many years. Now he extends that season and puts months of scouting to use by guiding bird hunters. Like many Southern professional trainers, Lieske began taking clients’ dogs north in late summer to escape the heat, and sometimes the owners followed him to South Dakota, Minnesota and eventually Michigan’s Lower Peninsula near West Branch. They wanted to hunt wild birds over their dogs, and Lieske was happy to oblige. This fall marks the third year for Wild Wing North. At press time Lieske has yet to choose exactly where he will base operations this fall. Besides targeting prime areas to hunt and avoiding locations known to be frequented by wolves, he seeks out high-end lodges or upscale commercial venues with good food and accommodations. The first year he rented a luxurious home in the western U.P. Last year Gateway Lodge, with its gun club, hot tub, lounge, full restaurant and nearby airport, met his needs. This fall Lieske is thinking of moving his operation to the central or eastern U.P. or northern lower Michigan. About half of the clients bring their own dogs, which Lieske welcomes, even though there is no shortage of expertise. Last fall his own kennel had a setter, an English cocker and four Drahthaars, two of which belonged to clients. Ten more recruits from Kentucky were available. In addition Lieske relies on other experienced guides when needed. At Gateway I met Bill Framm from Superior, Wisconsin, and his setters—one of which was the 2015 Minnesota ruffed grouse champion. 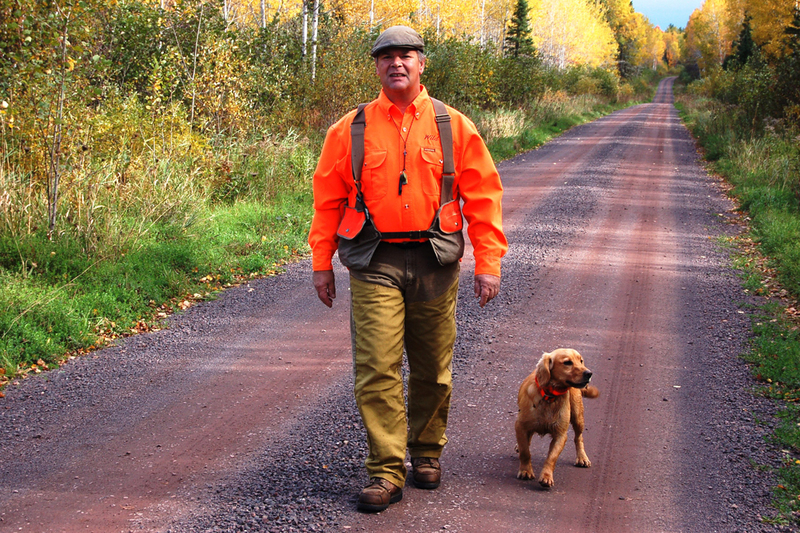 Although some of Lieske’s clients are steeped in grouse and woodcock hunting lore, most are not. 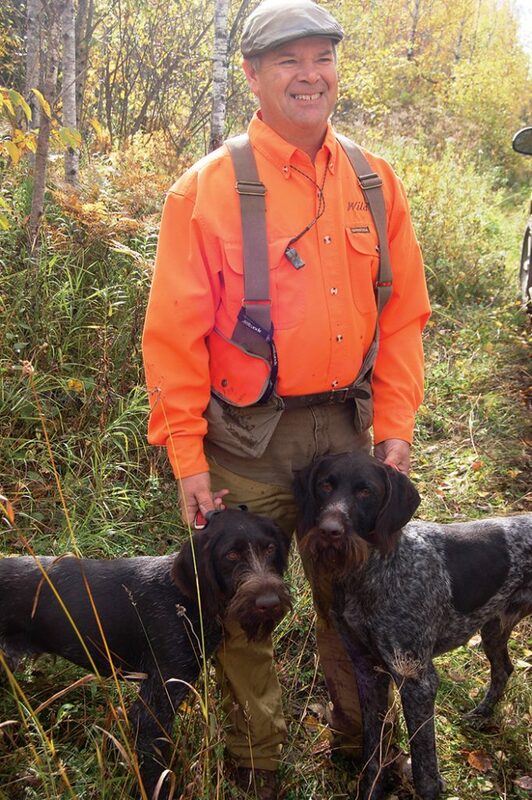 He describes his program as educational: “Besides learning how to hunt two of our greatest gamebirds, guests learn about the birds’ preferred habitats and the fine guns and great dogs we use to hunt them.” Fees are $850 per person per day (one or two Guns per guide) and include meals, lodging, guiding, dogs and transportation to the daily hunting locations. For more information, contact Wild Wing North Outfitters, 810-484-6800.